Honda Motorcycles & Scooter India Pvt. 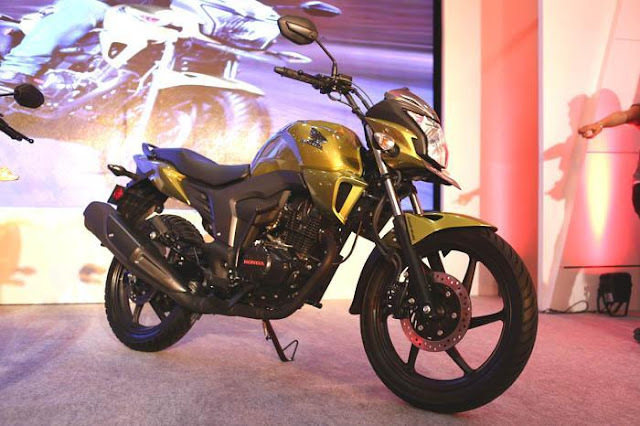 Ltd. revealed the prices of latest 150cc bike, CB Trigger unveiled in March 2013. The bike is priced at Rs 67,384, ex-showroom price, Delhi. The bike will hit the showrooms this month. The CB Trigger houses a four-stroke, 149.1cc, single-cylinder, air-cooled engine with 5-speed gearbox, shifted in a 1-down and 4-up pattern. The CB Trigger generates 14bhp maximum power at 8500rpm, while peak torque is 1.28kgm at 6500rpm.